An overview of an individual book of the Bible is essential to consider before reading its contents. Each book of both the Old and New Testament has been broken down in a broad birds eye look. Please take time to review the references given as you study. Then consider using the other tools available to you on this site. 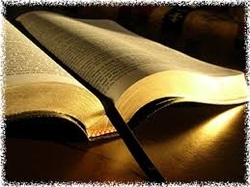 The Bible contains 66 books, divided among the Old and New Testaments. There are 39 books in the Old Testament. There are 27 books in the New Testament. The first translation of the Bible into English was in 1382 A.D., by John Wycliffe. The Bible was printed in 1454 A.D. by Johannes Gutenberg who invented the ‘type mold’ for the printing press. It was the first book ever printed. The Bible is still the #1 best selling book in the world. In 1604, King James I of England authorized that a new translation of the Bible into English be started. It was finished in 1611, just eighty-five years after the first translation of the New Testament into English appeared (Tyndale, 1526). The Authorized Version, or King James Version, quickly became the standard for English-speaking Protestants. Its flowing language and prose rhythm has had a profound influence on the literature of the past three hundred years. The longest chapter in the Bible is Psalm 119, and the shortest is Psalm 117. Psalm 117 is the middle chapter of the Bible. The longest verse is Esther 8:9, and the shortest is John 11:35. The book of Esther is the only book in the Bible that does not mention the word "God?"